Good morning!! It's Wednesday, and that means it's time for a sketch challenge over at Splitcoaststampers. 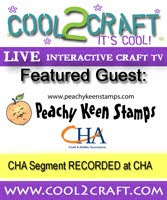 This week the challenge is hosted by our very own Korin Sutherland of Sweet-n Sassy Stamps. She's got a great sketch to share, and there's a gallery full of inspiration for you, so if you're looking for a little motivation in your card making, then you're gonna have to check it out. Here's the card I made using today's sketch. I decided to bring little Sunny Squirrel from Sweet -n Sassy Stamps out of hiding before Autumn is gone. I needed a thank you card as well., and in addition to the "Thank You" message, there are 5 other great sentiments in this adorable set. I used the out of the box technique to cut this image out with my oval nesties, and colored Sunny with my Copic markers. I'm not sure of the manufacturer of this wonderful paper, as it was gifted to me by a sweet and dear friend, but I sure love it! The beautiful colors and patterns are inspirational! Thanks so much for stopping by today. Wishing you a beautiful day, and happy stamping! Oh so delicious - what a sweet lil squirrel and beautiful hues of Autumn! Such a richness to your card and a fab layout to go with - nicely done, Lorie! Hugs! Very cute card, the squirrel is so cute. Awhhhh...what a cute card!!! Love the out of the box technique--I just never think to do it! Gorgeous card Lorie! So cute! I love it!! Cute cute cute! I love that lil squirrel! I reall love this layout and how you brought in the texture on the back panel from embossing. Another Fab card, Lorie! Aww, so sweet, Lorie. Love it! I saw this on FB yesterday but didn't get a chance to comment. LOVE IT! I am definitely going to be casing this layout - it's so simple but fantastic. Fabulous coloring on the squirrel! (is that how you spell it? Can't figure it out right now *lol*) I love the colors and the out of the box technique, super cute! Hi Lorie! I got my package today!!! I would love for you to stop by my blog and check out the Boo card I made using a couple of the stamps! I Love them! THanks so much!! It's Peachy Keen Release/Blog Hop Day!!! !